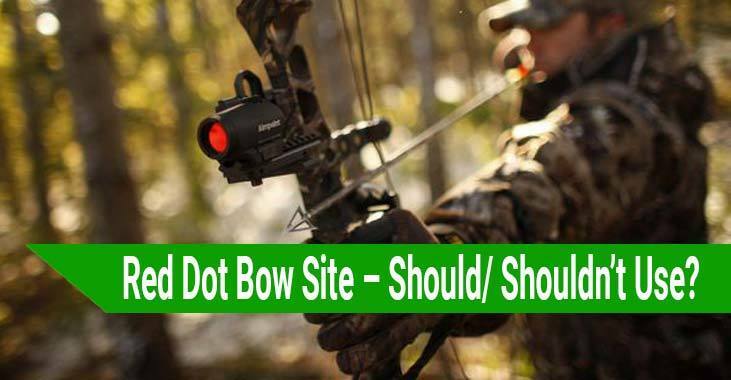 >> Red Dot Bow Site – Should or Shouldn’t Use It? Red Dot Bow Site – Should or Shouldn’t Use It? “Should I use a red dot bow site?” I suppose this is the question you are pondering on right now. Don’t worry. I will give a clear description of what this is and will further try to write down its pros and cons from there, we will decide whether to use it or not. At the end, my answer is "yes". Find out why below! What is Red Dot Bow Site? Be glad you have stopped by because this post is important, it entails several reasons as to whether the usage of this item should face a total eradication or should it be left in our system. I will incorporate information from various resources that have red dot bow sight reviews and I will speak from what I have experienced in the last 10 years I have hunted with the help of a red dot scope, successfully. This will enable me to come up with a conclusive stand on the topic at hand, you as the hunter will also get a clear information on the position of this item. Perfect position, better focus, and a guaranteed target are all in store due to the existence of the red dot bow site. It is a replacement for the ﻿﻿﻿﻿﻿﻿iron si﻿﻿ghts﻿﻿ in the firearms﻿﻿﻿﻿. It is a better choice for quick shoots and shorter distance. This statement tells us it is a better option when it comes to archery hunting. They have a self-correcting nature in that it regains ﻿its target﻿ when you deviate from it while moving. 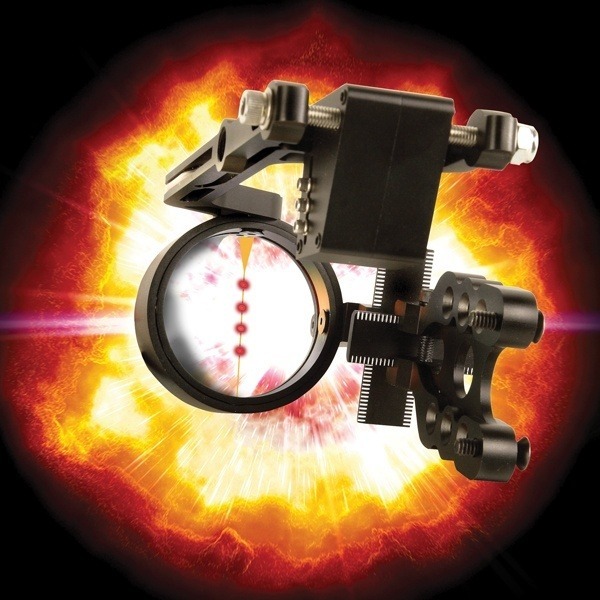 There are three renowned types of red dot bow sites: holographic, reflex and laser sights. Each one of them is used based on the function of what the manufacturer intends to set it as its use. Laser sights are rarely used simply because of its nature. It is easily affected in that its power of focus is disrupted depending on things like the weather condition. Holographic sight, on the other hand, is a better choice as compared to the laser sight. The reflex sights are widely used, as it is the best option as opposed to hologra﻿﻿phic and laser sight. Its focus is barely affected by anything as opposed to the other two types. Highly used in the makeup of leads because of its focus power. While some archers use the ﻿peep ﻿sight, that still makes it impossible to align shots at a distance. If your plan is shooting at close range, then archery red dot bow sights are not so necessary. However, since shooting game at a close ﻿range﻿ is somehow impractical, hunters will still need the red bow dot sight. Red bow dot sight has a high superior accuracy. Hunters have a very low percentage of missing their target when using this device. In other words, we can say it guarantees aim achieving a successful shot as the red dot acts as a guideline. Some newbie archers think that they can ensure a successful shot by use of a smaller peep sight but that never turns out to be the case. The peep sight is also dangerous especially when hunting in a low light place. The peep sight does this by reducing your field of vision and restricting the amount of light getting to your eyes. This feature makes it hard to see your target and the surrounding; you might step at the wrong place and time! 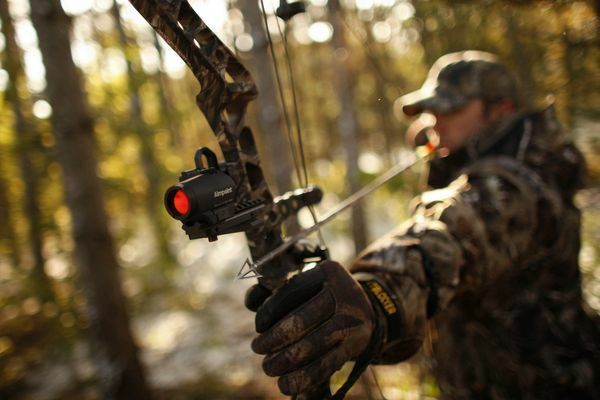 The use of red dot sight for bow hunting should highly be considered by any bowman. One of the main reasons archers use it is to improve their aim and alignment. Red dot bow site allows hunters to arrow down the game with both eyes open, which is both safe and rewarding. Arrows are relatively affordable, but the cost of replacing them time after time can accumulate the cost really fast. Replace the arrows?! Yes, because missed shots mean lost arrows, bend or broken. For this, hunters will need to replace the arrows repeatedly using a lot of money in the process. The red dot bow sites are lighter in nature. No person wants to go hunting carrying or holding a heavy item in the name of equipment. In addition, you have the option of selecting what you want. I mean, you have the choice of selecting a customization, as it is available. Hunting with a red dot bow site is more human than hunting without its help. With a guaranteed successful shot, the game will fall down dead, but with an unsure shot, the probability is you will only wound the game and that means it will live with a wound that might lead to sickness and slow death. They are not limited and available for both si﻿mple bows and compound bows. Its nature makes it known as the first acquisition machines. The fact that they are highly dependable when one wants a guaranteed target. However, in as much as it seems to have its advantages, of course, it has also its disadvantages. They have no magnification power that makes it only convenient for shorter distances. One has to add on magnifiers for using it on longer distances. Which other people may view this as another task. Earlier in this post, I have incorporated the several types of red dot bow sites available in the market. Depending on the quality and the price, the dot on the bow varies. The cheaper the bow the dimmer the dot, that makes it less accurate. One has to part with enough money in exchange for the shooting accuracy. Its delivery of service all depends on which type is using. Their price are quite expensive but they are very convenient for who requires results. If you want no stress in achieving the target, or you want to achieve a successful shot after a long time of missing, then you should buy this equipment. Despite its price, it is definitely worth the tag. The last drawback is that they use batteries, some argue that this requirement makes it not advisable for one to use it. Batteries die without one's knowledge. However, I may render this as a very vague argument as it is something one can easily avoid it without any difficulties. So Should Or Shouldn’t Use A Red Dot Bow Sight? In conclusion, relying on the information I gather during my research and experience, I, therefore, support the use of red dot bow sites. The advantages of this equipment outweigh its disadvantages as you can see. And after you use it you will learn of more its advantages. Feel free to share with the world.